How tall is Niall Horan? *Update: This article about Niall Horan's height was updated last May 14, 2016. What is the height of Niall Horan? Here are some information about Niall Horan's height. 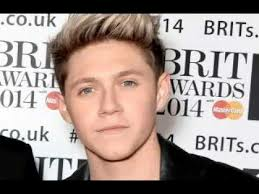 Niall James Horan is an Irish singer-songwriter and guitarist, known as a member of the boy band One Direction. In 2010, Horan auditioned as a solo artist for the seventh series of the British televised singing competition The X Factor. The height of Niall Horan is 5ft 8in, that makes him 173cm tall. Niall Horan's height is 5ft 8in or 173cm while I am 5ft 10in or 177cm. I am taller compared to him. To find out how much taller I am, we would have to subtract Niall Horan's height from mine. Therefore I am taller to him for about 4cm. And see your physical height difference with Niall Horan. Do you feel that this height information for Niall Horan is incorrect? Leave your comments and suggestions below and help us make this height listing for Niall Horan more accurate. Hi, thanks for noticing, by that you've helped us improve our website. Niall Horan indeed is Irish. Thank you for that. Hope you find this post about Niall Horan's height helpful. Is this for 2013 cause I thought he was taller?!? Hi there Nataly, thanks for commenting. Yes it is for 2013. Based on our research and photo estimates, Niall Horan has the shortest height among the One Direction members at 5'8" tall. Wrong dear, Louis Tomlinson is the shortest member of 1D he is 5'7 while Niall is 5'88. Thanks Helena. We really appreciate comments like this. Once we find the best proof that Niall Horan is 178cm tall, we will be updating this post. We will be working on it. Yeah, I think Niall is about 5'10 now. nah he's said in a video about four to six months ago that he was "5'7", maybe 5'8"" and since he's 20 I think it's pretty safe to say that he's not going to get much taller. Plus, Liam is a good three or four inches taller than Niall, and Liam isn't as tall as Harry. Hi guys.. Is anyone know how can I gain more height at least 5'10?? I'm 19 now and I'm only 5'4. Please someone help me. I'm a boy. He's my type girls stay away from the Hot Irish man called Niall HE'S MINE AND MY TYPE STAY AWAY! I'm the same height as niall, but I feel small compared to harry! !...love the website!!!!!!! He is taller now, Louis is shorter then Niall. I'm the older out of my friends and the shortest to. It's weird how it works. I'm the same height as harry I don't think niall is that small?! Great. -.- I'm 5'8 1/2. WHYYYYYYYY DO I HAVE TO BE A 1/2 INCH TALLER THAN THE CUTE ONE!?!?!?!?!? !